Today Jo Grafford has stopped by BOOKTALK WITH EILEEN to share her excitement in her novel release Breaking Ties. In the next couple of days I will follow up with a review of her book. A happy April to all of you! I finally gave up hoping for snow this year in southern Bavaria where I am currently stationed with my soldier husband. While the polar vortex swirled its way through the States, we walked the cobblestone streets of old Deutschland in sunny 40-degree-ish weather, sipping on hot tea and gluhwein, and browsing the fantastic Franconian holiday markets. Despite not getting snowed in, I found plenty of time to write this winter and completed book two of the Lost Colony Series. Astraea Press has offered a contract on it recently. TRAIL OF CROSSES is a continuation of the epic journey of the Lost Colonists from Roanoke Island. While book one BREAKING TIES reveals who wanted them to disappear, book two unravels the mystery surrounding where they went and why. Based on real people and events, the Lost Colony Series is the story of a group of pioneers who refused to give up in the face of unbelievable disaster. It’s the story of hope, betrayal, love, despair, and survival. I hope you enjoy the blurb and excerpt from book one BREAKING TIES. If you’re a historical junkie like myself, you won’t want to miss reading this series! About the Story: An intelligent woman ahead of her time, ROSE PAYNE’S world is shattered after a secret betrothal to the duke’s son costs her job in his father’s household. Without a letter of recommendation, Rose becomes an easy target for recruiters to the Colonies. Desperate for work, she signs up for a risky overseas venture and sails for the New World, vowing never again fall for a wealthy gentleman. Returning from a diplomatic tour in London, CHIEF MANTEO is bewitched by the elusive, fiery-haired ship clerk and determined to overcome her distrust. He contrives a daring plan to win her heart – one he prays will protect her from a chilling conspiracy involving murder, blood money, and a betrayal of their fledgling colony so terrifying it can only be revealed in BREAKING TIES. 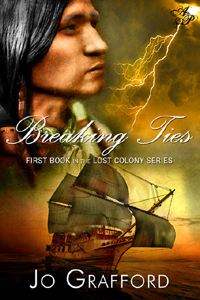 Based on real people and real events, Breaking Ties is the “rest of the story” of the Lost Colonists from Roanoke Island. New archeological findings now claim conclusive proof of survivors! Sometimes murder isn’t as messy, up-close, and personal as many people imagine it to be. Sometimes it is distant and impersonal – as simple as crossing a line through a name on a sheet of paper. Or one hundred and fifteen names in our case. “Yer bum’s hanging out the window!” My brother banged his empty mug on the inn table. He ran both hands through his hair, as red as my own, standing each flaming lock on end. I dared not share my other reason for leaving. “And I change what I cannot accept.” He shifted his weight to the wall, one arm propped over my head. He drew his fingertips down the side of my face in a feather-light caress. “For you.” His voice was silken, his features as hard as granite. I smiled tremulously. “I thank thee, Manteo. Chief Manteo, that is.” The new title felt strange on my lips. I beheld him with a mixture of awe and pride. I worried my lower lip between my teeth. At least he was willing to negotiate. His eyes flashed with lust as he followed my movements. I raised and dropped my hands helplessly. “Ye would hire me as clerk?” Hope leaped in my chest at the possibilities. I would not have to part from him so soon. I briefly closed my eyes against the pain. He already knew the reason for my refusal. “Say no more. I will do it. ‘Twill be punishment enough to see you so often and—“ I clamped my lips. “Swear it,” he said grimly. His eyes flared with emotion. He bent slowly ’til his breath stirred my lips. My eyelids fluttered closed. Heaven help me, for I had no will left to resist him. “Now you will eat,” Manteo commanded hoarsely. He stepped back, surveying me from head to feet. “I have no slaves so thin and weak. Go. Collect your rations.” He turned from me and bent to pour over a map on the table. I reached for the door handle, disbelieving at the curt dismissal. I glared at his back. Faith, should I press my face to the floor as well? “Aye, master.” I bit the words out and fled. 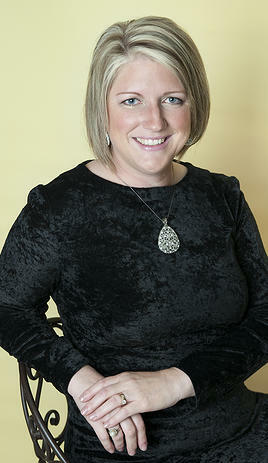 Jo is a mega reader of all genres and loves to indulge in marathon showings of Big Bang Theory, CSI, NCIS, and Castle. Her favorite books are full of rich history, strong alpha males, Native Americans, and creatures from the otherworld – an occasional dragon, vampire, or time traveler. From St. Louis, Missouri, Jo moves a lot with her soldier husband. She has lived in the Midwest, the deep South, and now resides in Bavaria. Jo holds an M.B.A. and has served as a banker, college finance instructor, and high school business teacher. She is a PRO member of Romance Writers of America and From the Heart Romance Writers RWA Chapter. Jo writes historical and paranormal romance. She is currently writing a series published by Astraea Press, which is based on the Lost Colonists of Roanoke Island – one of the world’s most intriguing unsolved mysteries. 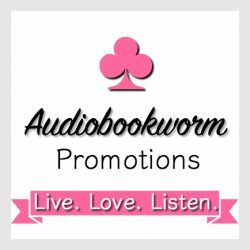 This entry was posted in Guest Authors, New Book Release Tour, Romance and tagged debut novelist, historical romance, Jo Grafford, Lost Colony Series. Bookmark the permalink. Thank you so much for following my blog. You do a wonderful job of featuring authors in an interesting way. Thank YOU for your most kind words. The world of books is a fabulous place to spend time. I’m pleased that we can all share our experiences in the minds and creativity of another. Thank you, Barbara. It has been a fascinating journey to research and write about these first American pioneers. I’m especially thrilled how recent sonar and archeological findings continue support the premise of my novel – that there were survivors! Thank you for featuring me on BookTalk With Eileen!